The Samurai were a warrior led social class that ruled Japan from the late 8th century until the middle of the 19th century. Above all they valued honour, bravery and loyalty. 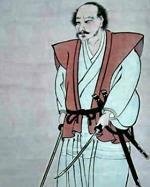 The term Samurai literally means Retainer or To Serve, which refers to a warrior's duty to serve his lord. This obligation would last not only his whole life, but would go beyond and into the after-life. 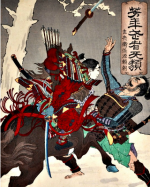 The late eighth century saw the rise of Japanese samurai warrior clans and through the Heian period (794 – 1185), the leading landowners they served consolidated their power bases until the most powerful warlord, known as the ‘Shogun,’ (barbarian subduing general) even controlled the emperor. These landowners usually traced their heritage to the Imperial family which meant they were believed to be of divine origin. 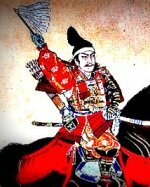 According to samurai legend, Keiko was the first to hold the title Shogun and his son, Prince Yamato Takeru (pictured), was later held up as an example of what a samurai warrior should be; fearless in battle, loyal and noble to the core. 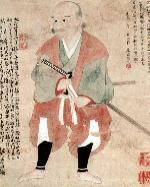 The main weapon for the early samurai warriors was the bow and arrow however from the thirteenth century, the samurai sword became the primary weapon of choice. The samurai sword was more than just a weapon; it was believed to have spiritual and mystical significance and was even believed by some to hold the soul of the warrior who wielded it. 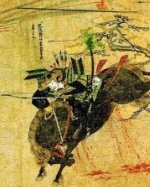 The bow and arrow was still an important part of the samurai’s armoury but as they gradually switched from fighting on horseback to fighting on foot, other weapons such as the spear and naginata also became popular. The social class also developed its own code of ethics, built around the idea of what it means to behave like an ideal warrior. 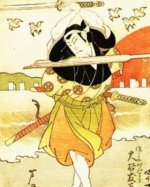 Originally called Kyuba no Michi (the Way of the Horse and Bow), it developed into the famous Bushido (Way of the Warrior). While not always followed by all samurai to the letter, the Bushido code provided a standard that all would be expected to try to live up to. The samurai were expected to give their lord complete loyalty and be willing to die for him; and even ready to serve him in the next life. In return, they could expect to receive official positions, land and riches especially from the spoils of war. However most of the best martial arts experts of feudal Japan fought for the sense of honour it gave them and the hope that their name would go down in history as a samurai legend. 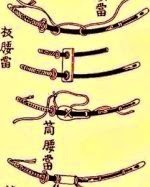 Brief History of the Samurai. [Internet]. 2012. Michigan University. 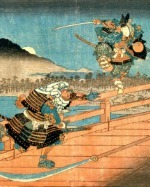 Available from: http://www-personal.umich.edu/~malokofs/SCA/Persona/History/samurai.html [Accessed 13 November, 2012]. Heian Japan: An Introductory Essay. [Internet]. 2010. Colorado University. 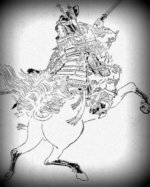 Available from http://www.colorado.edu/cas/tea/curriculum/imaging-japanese-history/heian/essay.html [Accessed 13 November, 2012]. Henshall, K. 2004. Second Edition. A History of Japan – From Stone Age to Super Power. Hampshire. MacMillan Press. Turnbull, S. R. 1987. Fourth Edition. 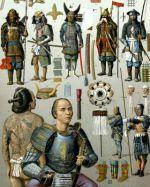 Samurai – A Military history. London. Osprey.